Invisalign vs. Braces - Which is the Better Option for Me? Invisalign vs. Braces – Which is the Better Option for Me? Traditional braces made from metal. Invisalign, which uses clear plastic spacers. Both these products are used for the correction of orthodontic issues. In most cases, either one will produce satisfactory results over a certain period of time. Still, there are pros and cons to each. It’s important to get all the facts before you commit. Braces are the traditional approach and many orthodontists have years of experience placing them. They typically produce results a few months faster than Invisalign and are often less expensive in terms of the initial treatment. They can help correct tooth misalignment and tooth gaps that are too severe for Invisalign spacers, too. In rare cases, braces can have complications that Invisalign won’t. Braces can only be put in, adjusted, and removed by an orthodontist. If there are any problems with the fit of your braces, you’ll have to schedule another appointment to have them altered. Some people may feel self-conscious about braces, and there is a learning curve in cleaning them properly. Invisalign is marketed as the “clear alternative” to braces. They can be put in and removed by the patient at any time, though patients should strive to have their spacers in place for at least 20 hours of every day. Invisalign is a popular choice for adults in need of orthodontic correction because they are subtle and can be taken out while eating, playing sports, or cleaning them. 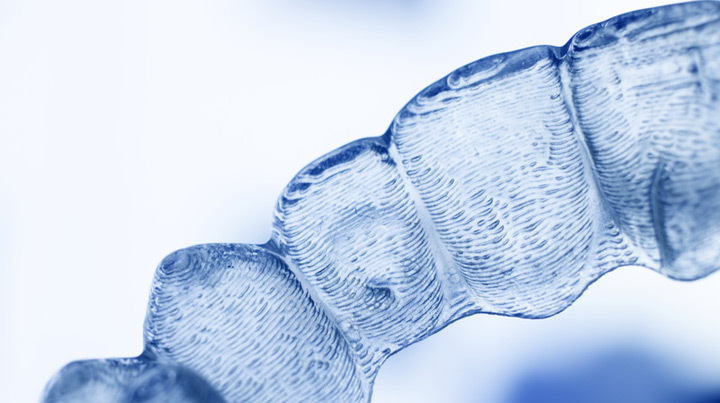 Invisalign takes a bit longer to work than braces, and there are some problems so severe Invisalign cannot treat them. Frequent follow-up appointments are required with Invisalign, although patients do not need to worry about the discomfort or expense of adjustment. A small number of people may experience allergic inflammation in response to contact with Invisalign. In general, adult patients have many good reasons to choose Invisalign over conventional braces. Braces may be preferable for those with a limited budget, those with severe orthodontic issues that benefit from the strong reinforcement of braces, or those who have experienced discomfort associated with Invisalign. Children can accelerate their course of treatment by using braces, and may not be eligible for Invisalign before they reach 12 years of age. A dentist can help you make the best decision when choosing Invisalign or braces.